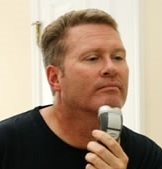 Electric Shavers, Hair Clippers, Beard Trimmers and Accessories. Electric Shaver Service, Sales and Parts for Norelco, Braun, Remington, Grundig, Eltron and Wahl Shavers. We repair Norelco, Philips, Braun, Remington, Andis Clippers and Wahl electric shavers, beard trimmers and clippers. Copyright © 1997 - 2016 ElectricShaver.com, Inc.. All Rights Reserved.